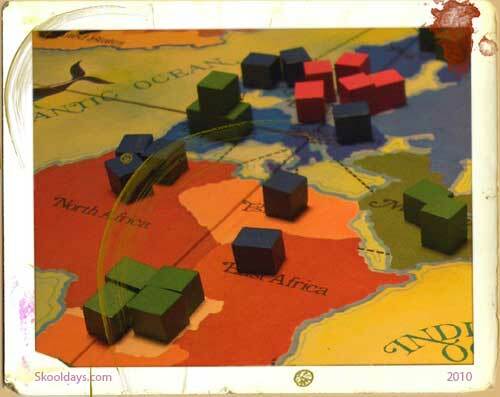 Risk has proven to be one of the most lasting board games ever. 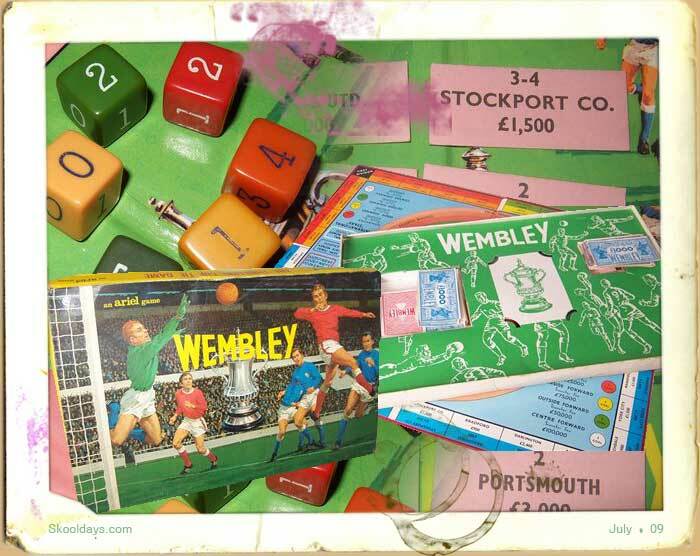 It is simple enough for all the family to learn but as the title entails requires a certain amount of risk to win. A Risk Game Board map of the world, 5 Dice,a deck of 56 Risk cards and 6 Sets of Armies in different colours. 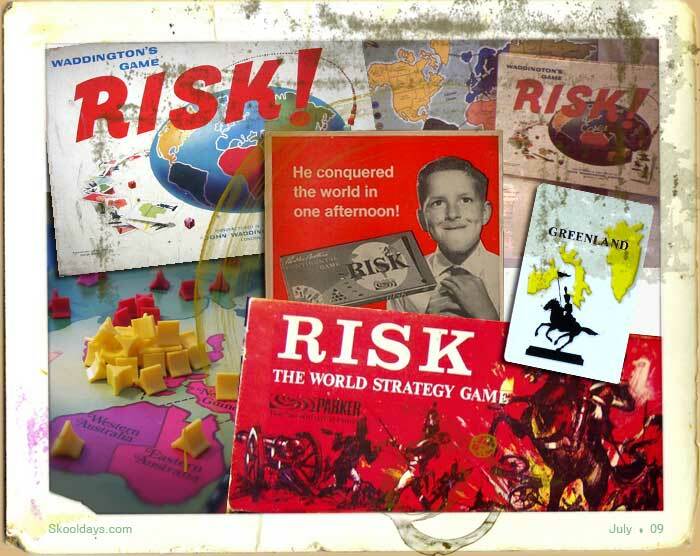 Risk is a strategic board game, produced by Parker Brothers and was invented by Albert Lamorisse in 1957, as The Conquest of the World. 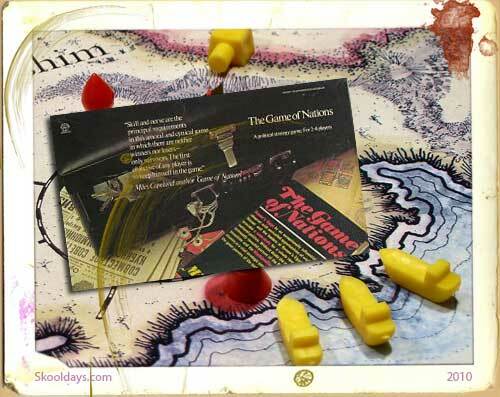 The board game Risk is a turn-based game for two to six players. The standard version is played on a board depicting a political map of the Earth, divided into forty-two territories, which are grouped into six continents. Players attempt to capture territories from other players by rolling higher die numbers. 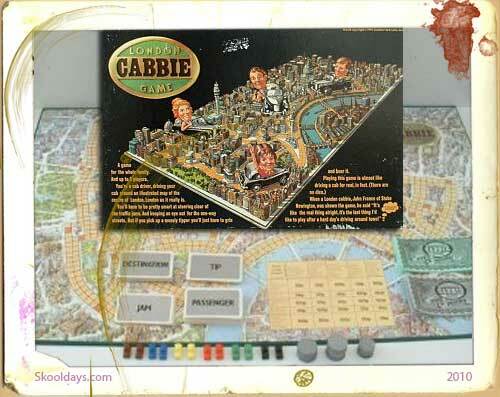 The game is won when one player has managed to occupy every territory on the board. Each continent has a bonus set of armies if occupied a full round. The challenge is to keep it occupied. Asia is the largest and hardest to occupy with 7 bonus armies received for your efforts. Then North America is worth 5, Europe	also 5, then Africa 3, Australia 2 and South America 2 armies. As far as strategy goes in Risk there are 3 main ways to get off to a good start. First, players should control entire continents to get the bonus reinforcement armies. Second, players should watch their borders for buildups of armies that could imply an upcoming attack. Third, players should build up armies on their own borders for better defense. Ive played the Risk board game for decades and still find it one of the most enjoyable games to play with friends and family. 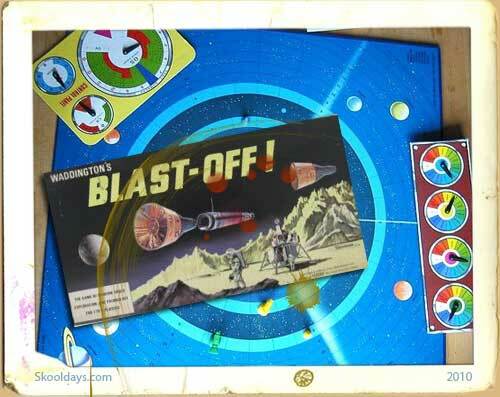 This entry was posted in Toys by Skooldays. Bookmark the permalink. I stumbled upon your site and thought your might be interested in promoting or becoming a part of a RISK tournament I run. It’s called the Annual RISK Classic. Check it out at http://www.annualriskclassic.com and let me know if you are interested. Or, perhaps a lot of your bloggers might be interested in it, as well. Pleeeeeease dont say it was easy for the whole family to learn. 🙁 I was bought Risk in the 70’s when I was young and not one person in my family could understood the rules. 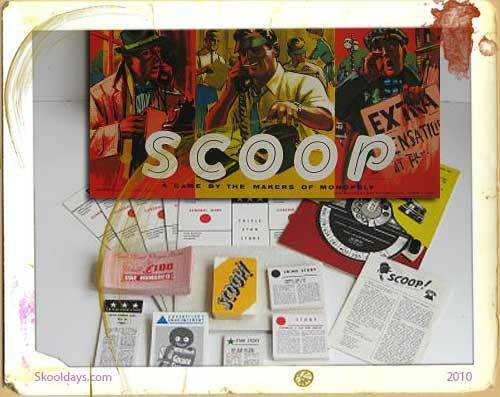 I think it finally went to a jumble sale in the 90’s with not one single game ever having been played on it. Wyatt on Scooby Doo Underscore – Where are You?